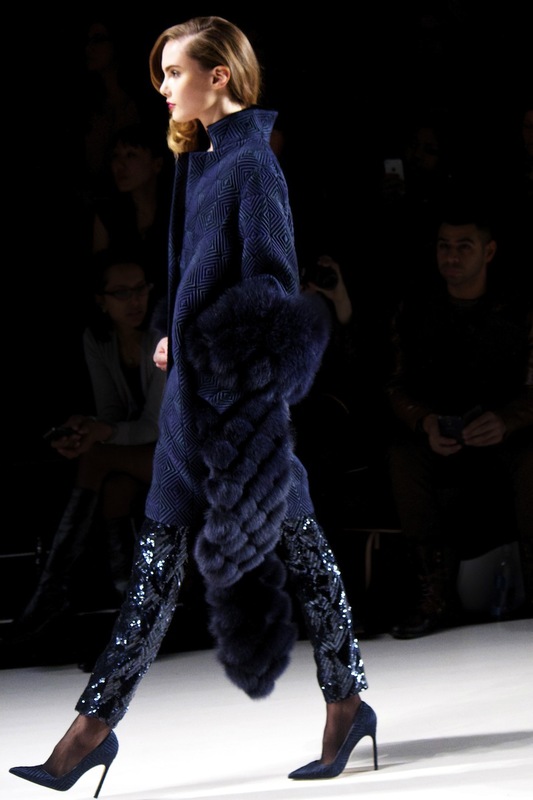 Wearable winter for any occasion, J.Mendel's stunning AW runway was rich in luscious furs, luxe leathers and of course his signature red carpet goddesses. The contrast between his strong ready-to-wear pieces vs his feminine evening wear designs was brought together through a beautiful deep colour palette of plum, navy and turquoise. Covering all your fashion needs Mendel has us keeping cosy in think art-deco coats and boxy silhouettes to flowing silk gowns and embellished nightwear. Not even the snow storm could take away from what was a true highlight of NYFW, J.Mendel is an artistic genius and never fails to impress. Pamella Roland was a pleasant surprise, my ever first show from this timeless fashion master. The AW collection was breathtaking, adopting the similar deep colour palette of the season her pieces were rich in plum and navy show-stoppers. 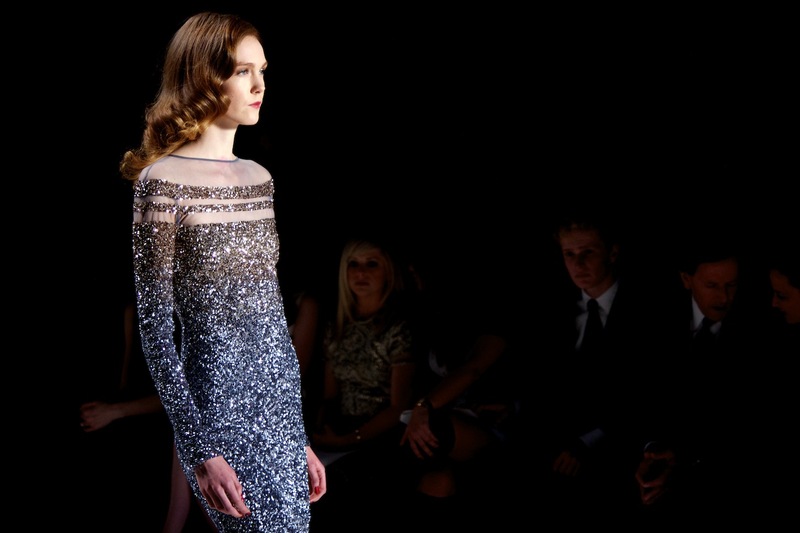 Sequined and embellished dresses stole the show, glistening down the catwalk with alluring ease. 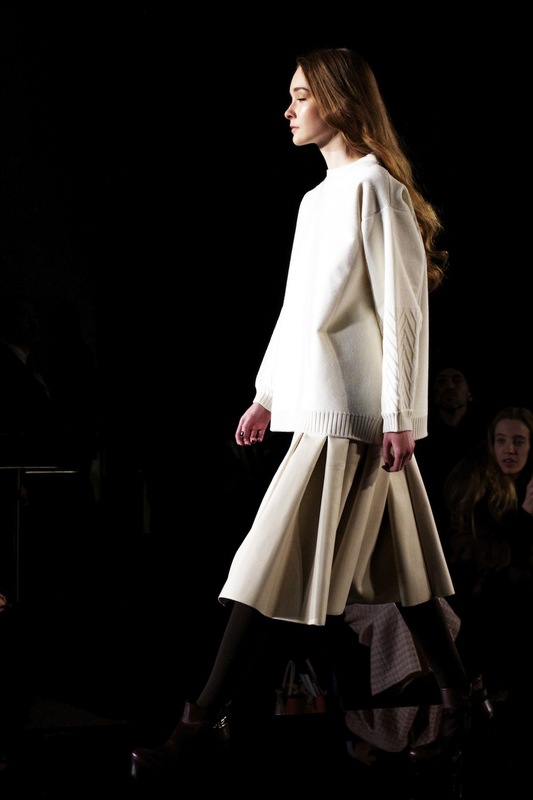 Textured and luxurious coats had you dreaming of winter wonderlands and stylish nights at the New York Ballet. Perfectly put together with precise attention to detail, Roland's runway was truly a treat for the eyes. Porsche Design had everyone on the edge of their seats, in the midst of heavy snowfall outside the glistening black runway welcomed weary and wet attendees to a platinum show ahead. Unbeknownst to me, this was another first, who know that Porsche had a ready-to-wear collection?! Not knowning what to expect, I was blown away by their sleek tailoring and clean lines in rich leathers and thick fabrics. It was classic and timeless for the modern woman, the kind of high-fashion elegance you'd expect to see walking out of an Hermes store on Rodeo Drive. Absolutely fabulous, plus with Oliva Pelermo and Kelly Rowland seated front row - you know it had to be a good!